We all have those off days. Whether it’s staying up too late and missing a few hours of beauty sleep, or getting a breakout from all that stress, there’s one makeup product that you’ll always cling to: concealer! Wouldn’t it be nice to have a concealer that actually looks natural and not caked on? We’re a step ahead of you right there. Keep on scrolling to learn why you need a concealer, and discover the nourishing ingredient that makes our VelvetSkin Concealer Pen your new favourite product. So how does it differ from the VelvetSkin Instant Firming Skin Tint SPF20? The purpose of the VelvetSkin Instant Firming Skin Tint SPF20 is to smooth out your skin and conceal minor irregularities. You can apply the smooth cream over your whole face and so ensure that your skin has a beautifully smooth and radiant appearance. Sometimes, though, you notice areas which need slightly more coverage. For instance, on red patches or pigmentation marks, scars or spots. And maybe you look a little tired due to dark circles under your eyes. For those problem areas you could use concealer. This cream provides better coverage than a foundation. What makes our VelvetSkin Concealer Pen so special? Applying concealer can be pretty tricky and nerve wracking. We’ve all struggled with a concealer that cakes on, making your eye bags look even heavier than in the first place. Or maybe it refuses to blend, and you’re left with patchy blobs all over your face. Even worse is if your concealer creases, making you look like you have wrinkles where you really don’t! Fortunately with the natural ingredients we’ve created a concealer that ticks off all the right checkboxes. 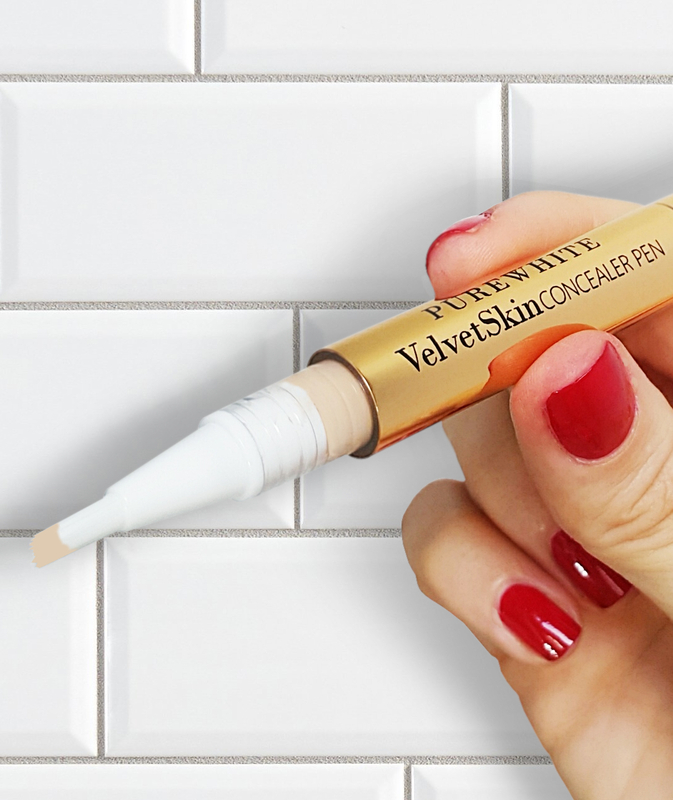 That’s right, our VelvetSkin Concealer Pen comes with even coverage and a natural, radiant finish. The formula is easily blendable and buildable, but you won’t have to worry about caking or creasing. All in all, it performs flawlessly as a concealer that looks and feels like a second skin, without any harmful chemicals that do damage to your precious epidermis instead. Furthermore, lovely rejuvenating and lifting ingredients, such as organic Camellia oil, Marula oil and Prickly Pear extract, have been added. The product not only camouflages, but also helps. So this also makes it especially suitable for sensitive skin and spots. The VelvetSkin Concealer Pen gives a natural, radiant covering and blends perfectly with your own skin tone. Vitamin C works to fight inflammation for more even skin tone and also naturally brightens skin, making this concealer ideal for brightening dark eye circles. Vitamin E restores and protects your skin, making our formula healthier to wear than not. The product not only camouflages, but also helps. So this also makes it especially suitable for sensitive skin and spots. The VelvetSkin Concealer Pen gives a natural, radiant covering and blends perfectly with your own skin tone. We have created the VelvetSkin Concealer Pen in 4 shades. You can even use them together. Choose a slightly lighter shade than your own skin tone to make darker discolouration, such as circles, less noticeable. For other parts of your face, as with the VelvetSkin Instant Firming Skin Tint SPF20, choose the shade which best matches your own skin tone. 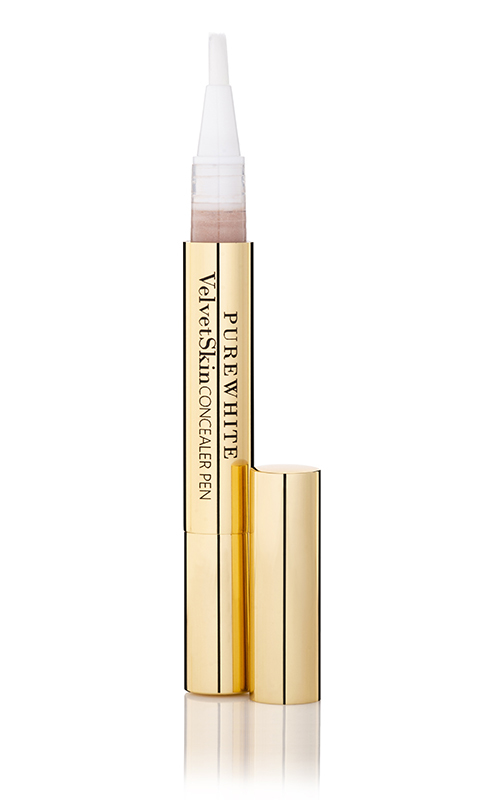 As a guideline, the Concealer Pen Light shade best suits Skin Tint’s Light-Medium shade. On top of or underneath your VelvetSkin Smoothing Glow Primer and Instant Firming Skin Tint SPF20 ? 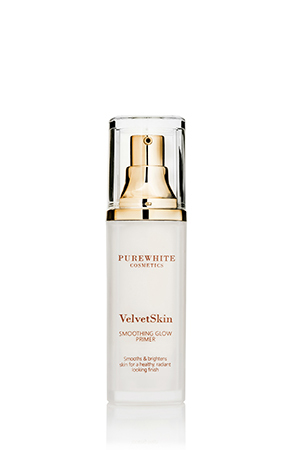 VelvetSkin Smoothing Glow Primer should always be the first step in your makeup routine. After you apply your moisturiser, grab your Primer. It’ll gloss over any fine lines and visible pores. It creates a smooth canvas for your Instant Firming Skin Tint and makes your cosmetics last for ages. Once you’ve gotten your Primer and Skin tint on, apply Concealer as needed for a flawless look. And remember, it’s always best to start with a tiny dab and work your way up. The VelvetSkin Concealer Pen comes in a handy twist pen packaging with which to dab easily onto the skin. Just twist the bottom of the pen until brush tip is filled with concealer. Apply concealer to dark circles and imperfections. Lightly pat with ring finger to blend. Wear alone on the top of your eye serum and/or eye cream or on top of foundation.